Personalised Laser Engraved Wooden 8oz Hammer. 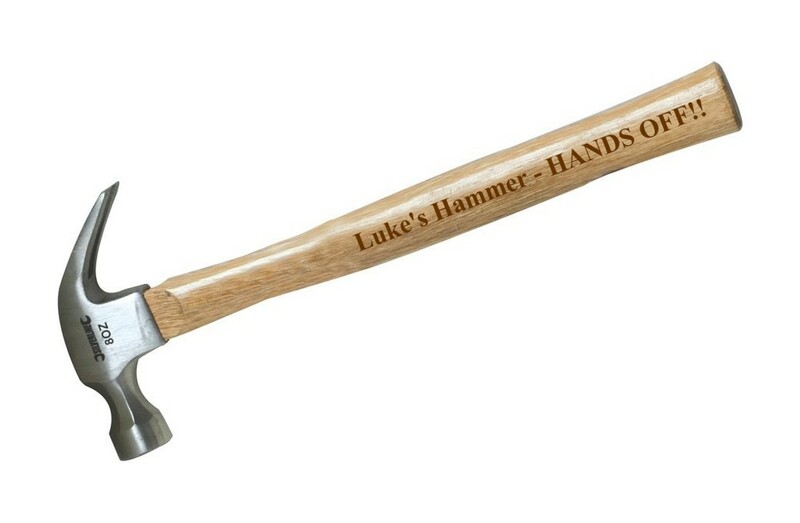 This amazing claw hammer measures 30cm and your text will be laser engraved on the handle. It has a forged steel head with polished striking face and hardwood shaft.